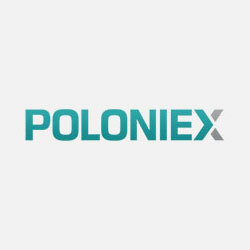 Poloniex is one of the famous cryptocurrency exchanges. They provide diverse range of cryptocurrencies to trade with, segregating the platform into 3 main markets (Bitcoin, Ethereum, XMR, and USDT) which can be traded against the majority of other cryptocurrencies. Exchange was founded by Tristan D’Agosta in January 2014. The company however was not very open regarding disclosure of their executive level, likely due to the fact that Poloniex offers services to US residents without license from US financial watchdogs. In other words, they have no license to offer exchange trading services in the US. Poloniex is headquartered in San Francisco, California. Their main area of operations is US but they offer services to residents of other countries as well. Account registration on Poloniex is an easy procedure and can be usually completed within couple of minutes. You simply need to fill in the necessary details and after that click on the link in confirmation email to finalize account activation. Further verification is not much different from other exchanges and is a 2 –level structure. Email verification, identity verification, and proof of residence. On completion of first level of verification user’s daily withdrawal limit will be set to $2000 USD. Also, completion of first level of verification is necessary for margin trading activation. As we know there is also 3rd level of verification which can provide higher withdrawal limits. But the requirements for activation of this account aren’t posted on the website, so users can contact support for getting additional information about that. Unfortunately, Poloniex is a crypto-to-crypto exchange only and there is no way deposit to the website or withdraw funds in fiat money. Deposits are possible with Digital currencies only and a digital wallet is required to complete the transaction to the platform. Users can use QR scanners from the device where they keep their wallet to make the transaction faster. Poloniex platform utilizes conventional market-maker model which stimulates liquidity by rewarding the makers with a lower fee. This further reduces the spread as model at its core encourages makers to top their bids to gain a better competitive edge. 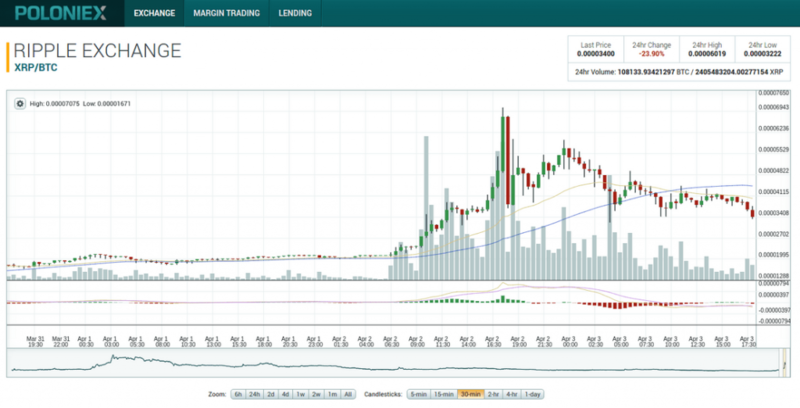 All things considered without a shadow of a doubt Poloniex manages to maintain high liquidity with market maker-taker model. Poloniex is powered with good trading technology. The trading screen is supplemented with additional overlay indicators like Fibonacci, Bollinger bands and Moving Average (both simple and exponential). Though overall functionality is limited comparison to Bitfinex or Binance, the platform strikes a good balance for both beginners and pro traders. Buying bitcoin on Poloniex is easy and straightforward. To get started, you have to ensure to have deposited enough funds in your Poloniex account. Once this is done, choose the relevant tab on the markets. Select the bitcoin tab and then select the trading pair. After that, you can decide to purchase or sell by inputting your desired price as well as coin quantity. You have the option of manually inputting an amount, choosing the lowest ask price, or selecting an order from the order book. Click on the “Buy” button, and the system will automatically find a counter-party. If a matching request from another user is not available, your order will be filled or go into the “order book” to wait. After it fills, you can check it in Trade History. One of the aspects where Poloniex has a bad reputation is customer service. You can easily find many complaints online of very long wait times, with users frequently reporting have waited 90 days (or more) to resolve their problems. The issue does not appear to be that the company does not want to provide a satisfactory customer support service, it’s just that the demand for the service is much too high. This is unsurprising for a company that is continuously growing at such an impressive rate, but users still hope that the speed of customer support service was improved. There is plenty of documentation on the Poloniex website, especially the Support Center to make up for the delayed times. There, users can find answers to the most general questions, like the basics, a guide to trading, adding coins, fees, the API, etc. You will see specific sections on the FAQs page for getting started, deposits, withdrawals, two-factor authentication, and getting support. Because of those resources, it is unlikely users need to contact customer support unless they have a technical issue. For those who want a secure exchange with an industry-leading number of digital asset pairs and additional functionality, like margin trading, Poloniex gives an excellent option. Those who decide to use it merely have to be ready to deal with a long wait for any customer support service and be aware that they can only make deposits and withdrawals using cryptocurrency. Because the trading volume on Poloniex is always very high, you can expect it to operate smoothly for most of its functionality. Customer support service can be an issue with delayed response times, this seems to be a general problem within exchanges in the cryptocurrency space, and it is a sector which needs to be addressed if cryptocurrency is to go mainstream. With huge sums of money at stake, waiting for days or even weeks for a reply to support tickets is unacceptable. With the latest acquisition by Circle, users can be assured that the company is in good hands and will be complying with all the applicable rules and regulations so this should give users the confidence to trade on Poloniex.